Many efforts in different countries provide useful examples of new care models and broad strategies for improving population health, quality of care and patients’ experiences while controlling costs (Baker et al., 2008). 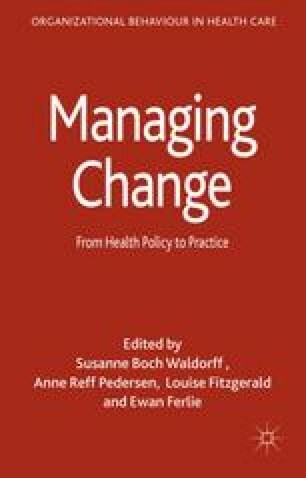 The successful strategies in these examples of health system improvement have relied on developing medical engagement and leadership as a critical element of transformative change (Baker et al., 2008; Baker and Denis, 2011; Ham, 2014). Recent policy initiatives in different jurisdictions also emphasize effective medical leadership and engagement. These include recent National Health System (NHS) reforms in the United Kingdom (Department of Health, 2010) and US efforts to develop accountable care organizations (Singer and Shortell, 2011). Yet, although the need to engage doctors seems to affect policy reforms and organizational change efforts, the issue of physician leadership and engagement has drawn only limited empirical attention. Greer, A. L. (2008) Embracing Accountability: Physician Leadership, Public Reporting and Teamwork in the Wisconsin Collaborative for Healthcare Quality, The Commonwealth Fund, Available from: http://www.commonwealthfund.org/Publications/Fund-Reports/2008/Jun/Embracing-Accountability-Physician-Leadership-Public-Reporting-and-Teamwork-in-the-Wisconsin-Coll.aspx [Accessed December 9, 2014].